A soldier undertook the unusual step of switching from the navy to the infantry - to serve in the place where his father was murdered. An IDF Sergeant whose father was murdered by an Arab terrorist in Hevron has undertaken the unusual step of switching from the navy to the infantry - so that he could serve in the place where his father was murdered. Sergeant David Kofman decided to switch from the navy to infantry as his ship was near Gaza and he received news of the death of his father. “We heard on the radio that there had been a stabbing at the Cave of Machpela, and I immediately told my friend that I had a bad feeling, that I thought it was my father,” Kofman related yesterday in an interview with Yediot Achronot. 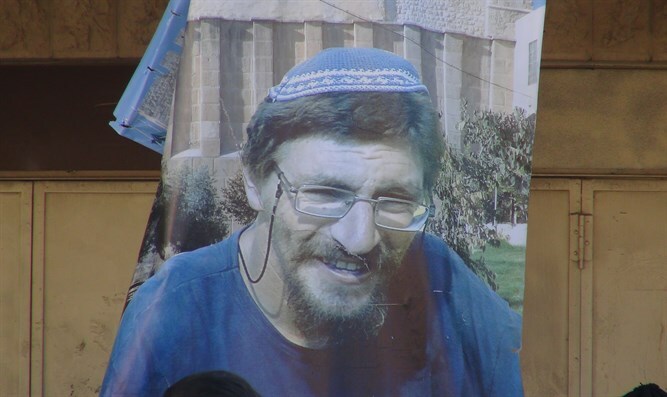 David’s father, Ganedi Kofman, who worked as a gardener at the Cave of Machpela, died after he was stabbed by an Arab terrorist in front of the Cave. After three weeks of struggling for his life, he succumbed to his wounds. “Already on that day on the ship, the thought crossed my mind to transfer and [continue my service] at the Cave of Machpela, to [try to] see to it that things like this wouldn’t happen again,” David related. After meeting and creating a connection with high-ranking officer Eitan Dana, responsible for the Hevron region, during the mourning period for his father, David said that his decision to transfer was set. Today, David serves in the infantry, under Dana’s command.